Becoming and staying physically fit is an important part of achieving optimal health. A well-rounded exercise program is crucial to becoming and remaining healthy. Physical activity improves your health in a number of ways. It promotes weight loss, strengthens muscles and bones, keeps the heart and lungs strong, and helps to protect against chronic disease. There are four essential elements of physical fitness: cardiorespiratory, muscular strength, flexibility, and maintaining a healthful body composition. Some enthusiasts might argue the relative importance of each, but optimal health requires some degree of balance between all four. 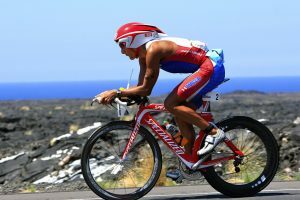 For example, the Hawai‘i Ironman is a vigorous race that consists of a 2.4 mile swim, 112 mile bike, and a 26 mile run. All four elements of physical fitness are vital in order to complete each leg of the race. To learn more about the Hawai‘i Ironman, visit their website at http://www.ironman.com. Some forms of exercise confer multiple benefits, which can help you to balance the different elements of physical fitness. For example, riding a bicycle for thirty minutes or more not only builds cardiorespiratory endurance, it also improves muscle strength and muscle endurance. Some forms of yoga can also build muscle strength and endurance, along with flexibility. However, addressing fitness standards in all four categories generally requires incorporating a range of activities into your regular routine. If you exercise regularly, your body will begin to change and you will notice that you are able to continue your activity longer. This is due to the overload principle that our bodies will adapt to with continuous repetition. For example, if you run a mile everyday for a week, in a few weeks you would be able to run further and likely faster.